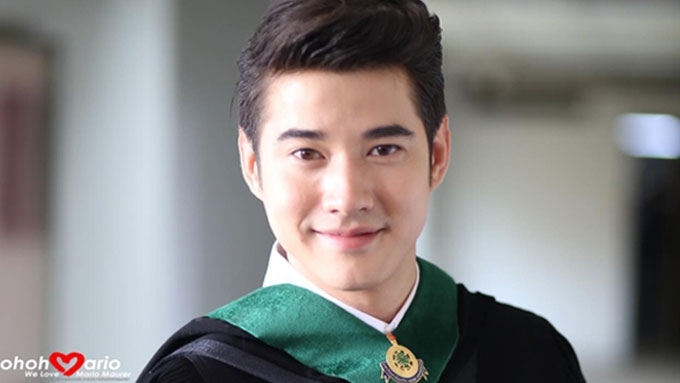 Despite his hectic schedule as an actor and model, Mario Maurer finishes his master's degree at the age of 28. Thai actor/model Mario Maurer celebrated a milestone last weekend. Through his official accounts on Facebook and Instagram, Mario revealed that he had successfully finished his Master’s degree in Political Communications. On Instagram, the 28-year-old actor/model thanked those who had supported him, including his mom (middle) and brother Marco (right). Mario became popular in the country after the successful showing of his film Crazy Little Thing Called Love in 2010. In 2011, he became an endorser of a local clothing brand. In 2012, he starred in Star Cinema’s Suddenly It’s Magic with Erich Gonzales. Last year, he made a brief return to the Philippines to promote his country Thailand.